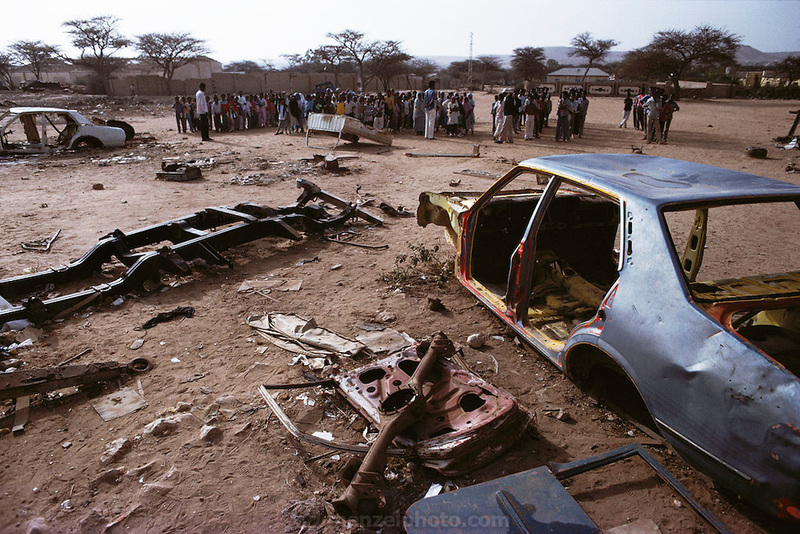 Children play in a rubble-strewn playground at the looted Sheikh Madar Elementary School in Hargeisa, Somaliland. The teachers of the school work without pay. Somaliland is the breakaway republic in northern Somalia that declared independence in 1991 after 50,000 died in civil war. March 1992.